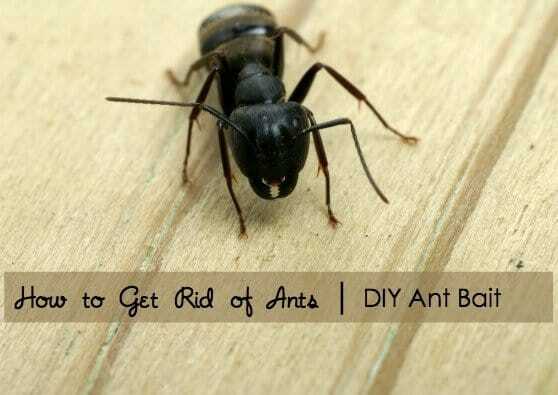 If you are wondering how to get rid of ants safely, than I have THE tip for you! At this time of year, carpenter ants make an appearance in our kitchen. These unwanted guests don't stay long, as upon first sight, I mix up a concoction of made in USA Borax and sugar to serve to them as a welcome snack. Carpenter ants LOVE to eat sweet things, so the sugar draws their attention, while the Borax slowly poisons them. Worker ants bring the Borax back to the nest to poison the others. Bwahahaha!!! In my opinion, making an ant bait with Borax is safer for my family than using chemical laden pesticide sprays. Borax, also known as sodium borate, is a naturally occurring mineral which is mined in the Mojave Desert, California. 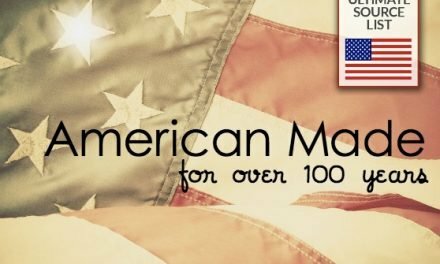 Learn more about Borax, and its many uses, in the popular USA Love List article, Made in the USA for One Hundred Years: The Original Green Cleaners. 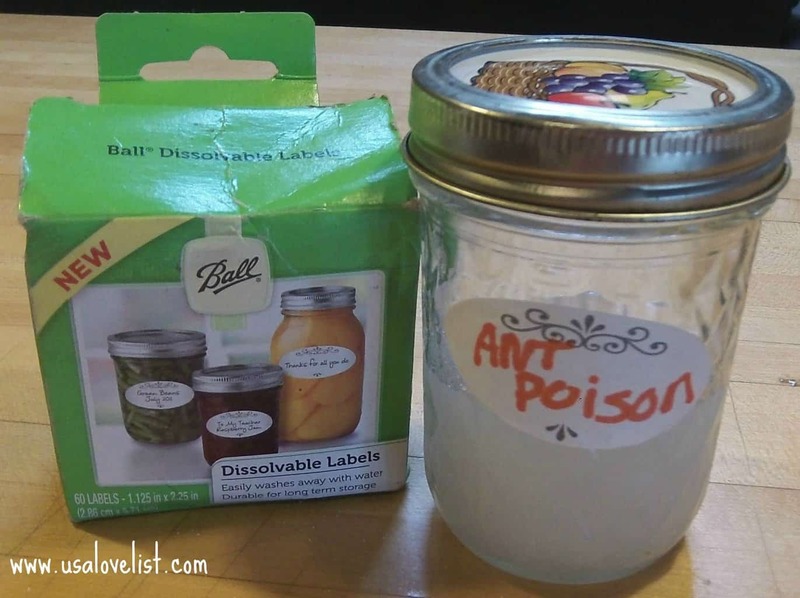 How to get Rid of Ants: Make Your Own Borax Ant Bait! 1. 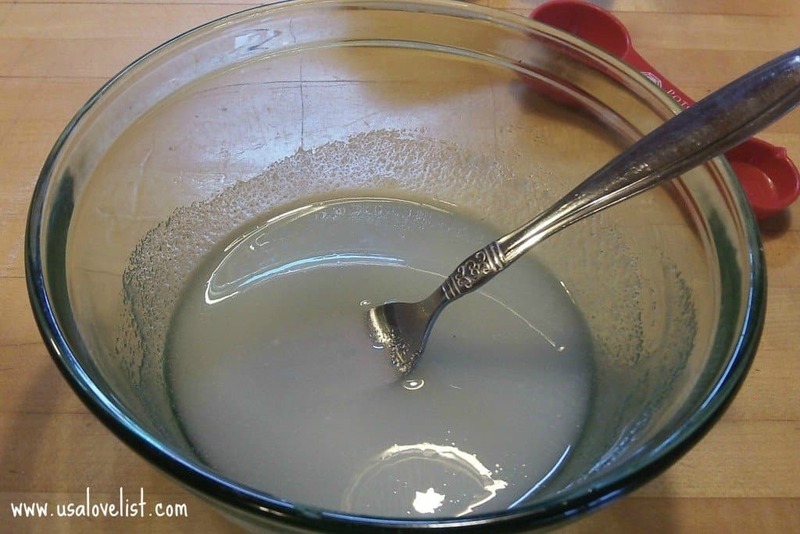 Mix sugar and Borax thoroughly in a small bowl. 2. Add hot water slowly, until mixture reaches a syrup-like consistency. 3. 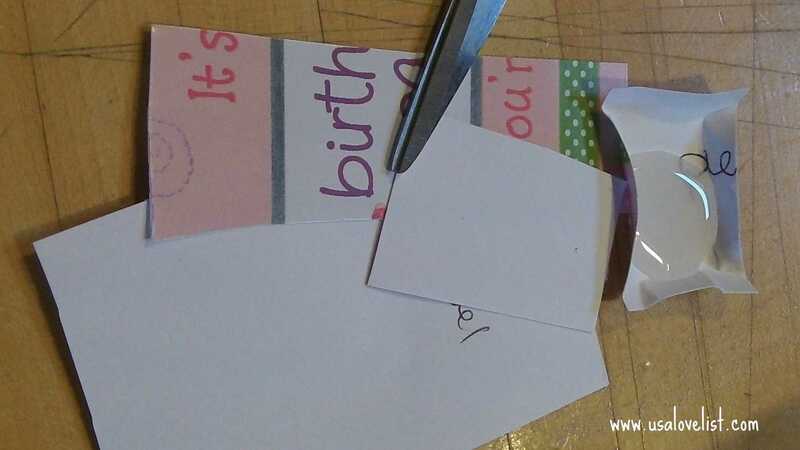 Cut the card stock into about 1 1/2 inch by 3-inch rectangles. 4. Start with one rectangle, and fold all of its sides up slightly, forming a small basket. 5. 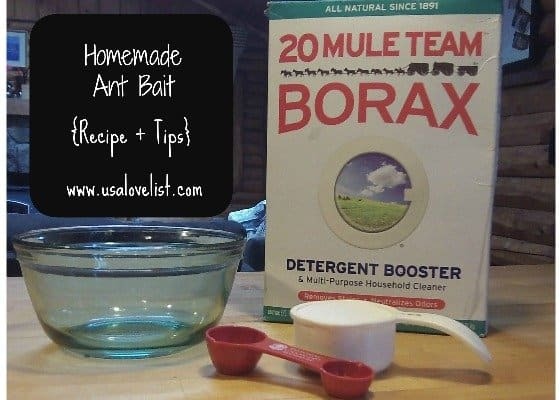 Add a dollop of the Borax ant bait syrup to the center of the ‘basket'. 6. Repeat as needed with the other card stock rectangles, as needed. 7. Store unused Borax ant bait out of reach of children, and in a well labeled, tightly sealed small jar. Place Borax ant bait ‘baskets' where you notice the carpenter ants entering your home, usually where the floor meets the wall, or counter meets the wall (check your cupboards too!). Borax ant bait works well to attract ants because they LOVE sugar. Make sure that anything on your counters or in your cupboards that might draw their attention is wiped down and tightly sealed. My kiddos are old enough to know better, and my cat could care less, but make sure Borax ant bait is placed in areas out of reach of small children, and away from any pets who like to eat everything. After about a day, the Borax ant bait could harden. Check and replace if so. 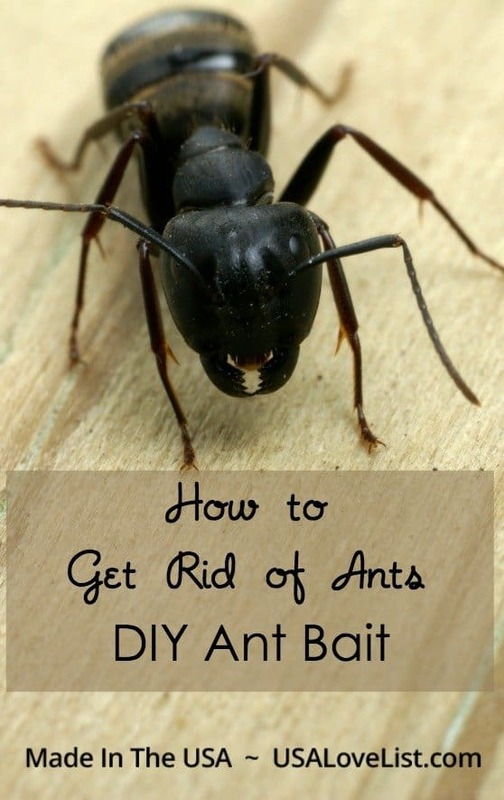 Bait can take up to 10 days for the ants to be gone. This is awesome! Will definitely show to my Mom – they tend to get a little antsy in the summer! 🙂 Thanks for the tip! 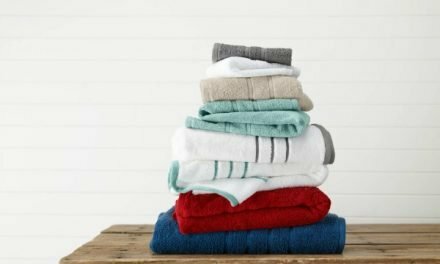 I love using Borax in my laundry. I dislike buying bug sprays and I do get ants, so I will definitely try this! how much water ? Thanks! This is great information. I’m looking to move back to the country. Growing up, boy did we have carpenter ants, they were a force to reckon with, I would want to use this for sure! This method worked well for me. Thank you! Can this be used outside .